There are ways to stay within a budget, and local wedding planners can advise how to tailor a dream wedding without overspending. Permits to marry on the beach vary from about $25 to hundreds of dollars, depending on the venue and the size of the wedding party. If you're a couple looking for a bigger wedding with chairs and a reception to follow, then beach wedding packages offer the opportunity to bundle and save. Likewise, locking in a date well in advance with a security deposit protects against future price hikes. Certainly combining a honeymoon with a destination wedding helps to keep the costs down overall. Other tips for maximizing savings include checking out if there are discounts for midweek bookings on reception venues or for off-peak hours. Also, ask if there are discounts for military personnel and first responders. Always check for seasonal promotions where upgrades may be available even if costs remain the same. 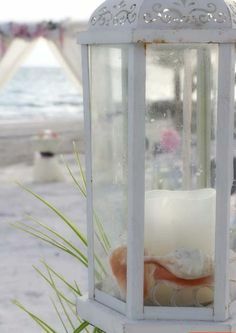 Renting props for the beach wedding can save money and also make traveling much easier. Items might include beach wedding chalkboards or signs, parasols (which look great in the wedding album) and fans to keep the guests cool. Silk flowers look perfect in photographs but are much cheaper than fresh blooms. Getting creative with seashore inspired bouquets and boutonnieres not only offers the chance to save money, it's fun and a great way to involve family and friends in the build-up to the big day. We have the experience to help you stretch your budget. The number one tip for staying within a budget is to set a limit and prioritize to stay within it. At Suncoast Weddings, we're pleased to say there will be no surprises with our services, your itemized proposal will be straight forward and transparent - no 'clean-up' fees, no hidden extras ... because it's all about you! Florida weddings on a budget? No problem! Give us a call today.